It’s not auto show season just yet, but Kia decided it would reveal a new product anyway. Instead, the automaker selected Fashion Week as the venue of choice to rollout its all-new 2020 Telluride large SUV. While this stunt was clearly to capture attention for the brand’s new SUV, it does have some lose connections to the fashion world. Kia recruited designer Brandon Maxwell to dress up the standard Telluride for fashion week duty. 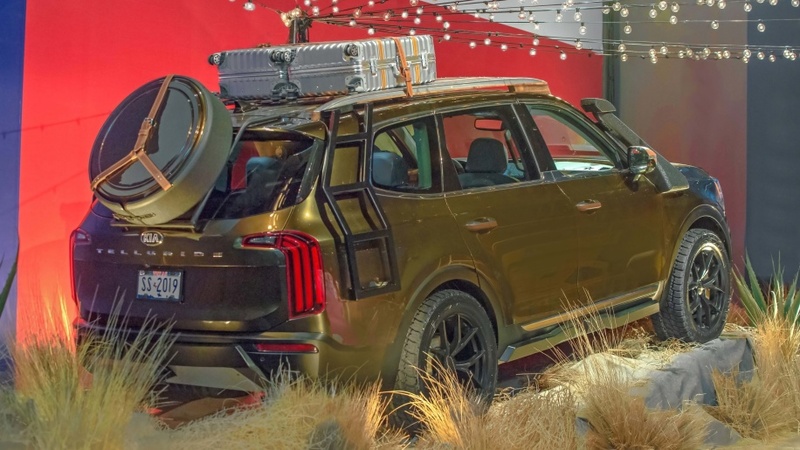 Of course, this stunt means that things like the little ladder on the back and faux luggage aren’t likely to end up in Kia showrooms when the 2020 Telluride rolls out. Beneath the mask, the production Telluride looks a lot like the Telluride concept Kia showed way back in 2016. While a production version of this concept comes as little surprise–we all expected as much–details are still mum at this point. 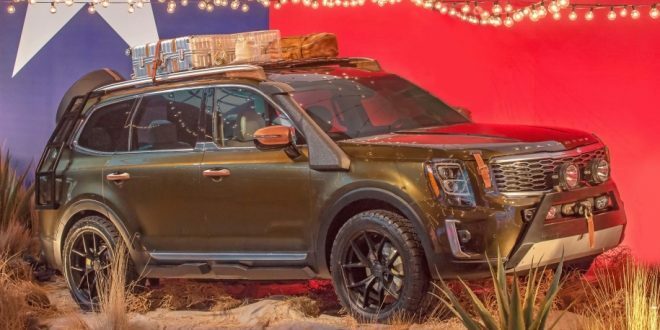 Expect further details on the 2020 Kia Telluride when it makes its auto show debut in the coming months, including important things like engine and features. It looks like a mish mash of other vehicles styles to me. Agreed, but a good-looking mash-up. Not a lot of really great looking vehicles in this segment and I prefer this to something like the Subaru Accent. The Range Rover rip-off Ford Explorer looks quite classy (if very derivative) and the Mazda CX-9 is probably my favourite looking vehicle in this segment. That said, when I needed room and realized we'd be driving something fairly boring no matter what, we just sucked it up and got a minivan! If you are going for room, utility and highway cruisability, I'd take a minivan over a big CUV any day.